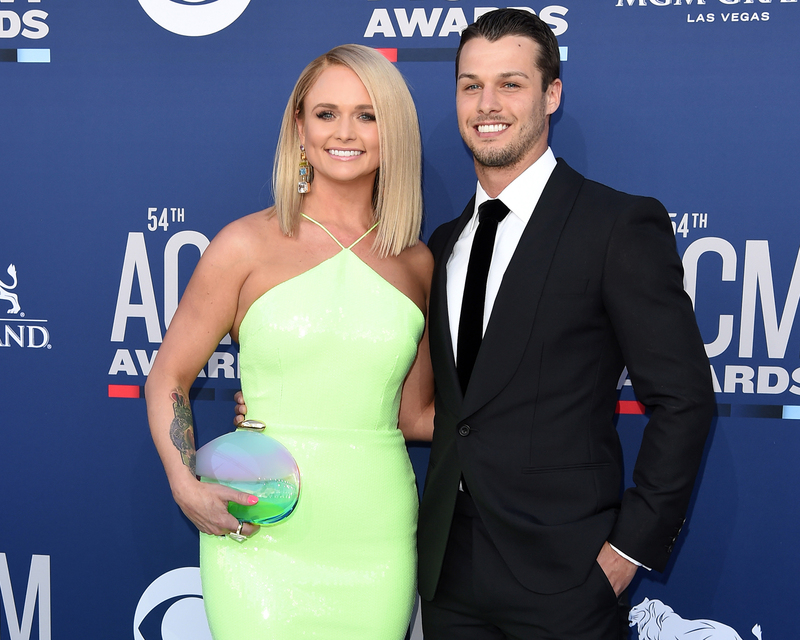 Miranda Lambert was glowing on the red carpet at the American Country Music Awards Sunday, and it wasn’t just because of her flattering, form-fitting lime green gown. The 35-year-old country singer also happened to have her new husband, Brendan McLoughin, on her arm, and the newlyweds beamed at cameras as they made their red carpet debut. Lambert and McLoughlin, 27, an NYPD officer, got married back in February after a whirlwind romance that kicked off last November. In the image that the “Tin Man” singer shared, she is hugging McLoughlin from behind while wearing a long-sleeved, lace Lela Rose gown; McLoughlin is wearing a crisp white dress shirt and what looks to be a custom-fit blazer with velour trim. The couple reportedly first met in NYC when Lambert was in town to appear on a Good Morning America segment last fall. Lambert was previously married to fellow country music singer Blake Shelton, who has been dating Gwen Stefani for just over three years now. After the superstar duo split in 2015, Lambert went on to date singer Anderson East for over two years, followed by Turnpike Troubadours frontman Evan Felker, whom she split with in August 2018. At the ACM Awards Sunday night, Lambert wowed with a solo medley performance, and also took to the stage with George Strait as part of an “ACM Flashbacks” series that honors classic country hits from a specific year. Be the first to comment on "Miranda Lambert and Her Husband Make Their Red Carpet Debut After Secret Wedding"